This Inside Sales Representative interview profile brings together a snapshot of what to look for in candidates with a balanced sample of suitable interview questions. Great sales representatives are motivated by great products. They will do well at your company if they are passionate about your product and believe in the solution that it provides. Any experienced inside sales representative should have some knowledge of your product and customers. In addition, they should be experts on any product they have previously sold and be able to confidently speak about the factors involved in customers’ buying decisions. You can hire and train great candidates with no inside sales experience at all. If you are looking for entry level inside sales reps, look for candidates who are talkative and genuinely enjoy helping people. The most promising candidates for an entry level sales role will have an innate “people pleaser” quality. To hire this type of candidate, feel free to add some situational questions based about any previous customer service experience. 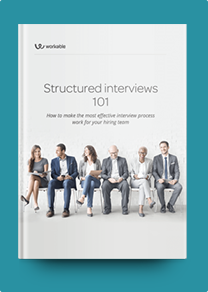 The following interview questions are written to help you evaluate how thoroughly your candidates understand the inside sales process. Candidates with the best responses will have proven inside sales experience, as opposed to theoretical experience. They’ll be able to demonstrate that their desire to exceed expectations is tempered by a desire to have happy customers. And they’ll likely treat this interview the way they treat a sales call. They’ll be curious about your pain points and talk about ways to fix them. How would you describe the product and customers of your last company? Describe your customer’s buying decision process. Who approves or blocks the buying decision? What do you need to line up to close the sale? How do you stay updated on your target market? A customer points out a known problem with your product. How do you handle it? Describe a recent sale that you lost. What did you learn from this experience? How were leads generated at your last company? What’s difficult about working with a short sales cycle? What would make you passionate about selling our product?